This blog was contributed by Natalie Fenton, Marketing Content Coordinator at SkuVault, a warehouse management technology platform that helps small and medium ecommerce enterprises optimize operations and scale their business. Natalie has a background in digital marketing and small business ownership and loves using her skills to help business owners work smarter instead of harder. In today’s changing eCommerce landscape, it’s important to focus on growing your business. If you want to take your sales to the next level, going global may be the next step. While expanding internationally can have challenges, it also offers amazing opportunities. Cross-border sales will help improve your reputation and legitimize your brand. Global sales can also help you diversify your market and create new revenue potential. To expand successfully, you need to find a system that will keep your inventory and your staff organized. et’s take a look at few of the benefits of using inventory management software to grow globally. Before delving into how cloud-based inventory management software can bring your business to the next level, you need to understand what exactly it is. Consisting of business applications that manage, organize and track production processes, inventory management software reduces time and effort previously needed for older tracking techniques. Businesses can use the systems to do tasks such as track shipments, know inventory stock, and even know when products are shipped. An essential for modern-day eCommerce businesses, inventory management software can give your business the advantage over competitors in your industry. Here are 5 ways using inventory management software can help your business grow globally. When you have a large team working from different locations it can get messy and errors can increase. Once you take your business global, staff manually editing spreadsheets to track your inventory will not be a fast or feasible method. 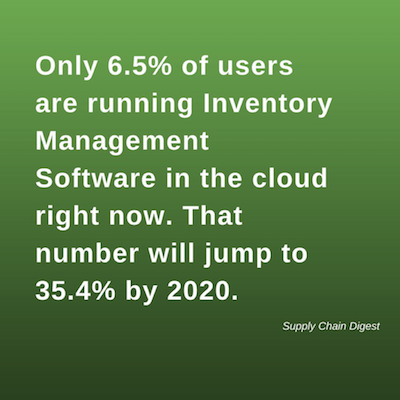 With a cloud-based inventory management software, your inventory, orders, and all information are updated in real time. This allows your team to collaborate more easily. Cloud-based software also makes your inventory information accessible anywhere, which is a huge benefit for companies with offices and warehouses around the world. Automating the process of receiving inventory as well as removing quantities of out-of-stock items will give employees more time to focus on the important things by streamlining stock management. It will also help protect your business since many marketplaces will penalize you if you receive negative feedback from oversells. This negative feedback could cause your listings to show up further down in search results, which will cost you sales. Having your stock levels consistent and accurate across all of your locations will eliminate a lot of stress. Warehouse storage and insurance are two crucial costs to holding inventory. Leasing property isn’t cheap and insurance costs increase when you require more space. You don’t want to miss sales, but you also want to keep your footprint as small as possible. With a good inventory management system, you can more accurately predict which products you’ll need. As you grow, it’s important to track your inventory and have a goal for how many times you want to turn inventory in a year. This knowledge will streamline your planning, increase your profits, and allow you to invest more money on expansion. Automating ordering also helps keep your inventory in check. Every inventory management system is different and features will vary, but one feature to look for is reordering. You can simplify stock control by automatically reordering popular products. Inventory analytics tools will provide you the insights to make more informed decisions. Inventory management software will help you create systems that will lower your costs and minimize errors. By working together seamlessly and effortlessly in different locations, your company can minimize errors when expanding globally. 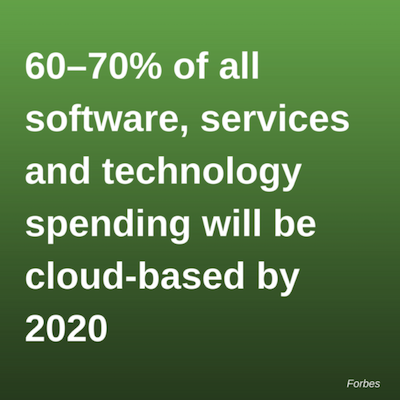 Implementing a cloud-based inventory management software is important for a business to grow globally. By providing your company a huge opportunity for revenue growth, inventory management software is an important tool that needs to be at the core of your plan. Find systems that will work for you now and stay consistent with them. As you expand, these tools will continue to work with you to minimize the pain that comes with business growth. The way of narration about Inventory Management Software is simply informative. Keep sharing this information. When having inventory, a company does not ever want to have too much of a product, nor does it want to have not enough of that product to meet demand. Inventory management helps to ensure that a proper inventory is maintained at all times. You have shared a wonderful ways Inventory Management Software Helps You Grow Globally. Thank you for sharing this post. I am very glad to visit your site.Keep sharing with us. In my opinion, speed is essential in having good customer service. Inventory management software makes your company move faster by improving your warehouse’s layout. Inventory management software leads to saved time, saved money and happier customer. Yes, great content. The ways in which it helps us grow globally is Manage Inventory Remotely, Easily Maintain Stock Levels, Reduce the Costs of Storage and Insurance, Make Reordering Simple etc. Extremely intriguing and useful article! As I would like to think, speed is fundamental in having great client benefit. Stock administration programming makes your organization move quicker by enhancing your stockroom’s format. Stock administration programming prompts spared time, set aside extra cash and more joyful client. Thanks for pointing out that one of the benefits of an inventory tracking system is that automating the process of receiving inventory as well as removing quantities of out-of-stock items will give employees more time to focus on the important things. I think that it would also help you and your employees when you had to do inventory once or twice a year. Since a system was already keeping track of everything it would help everybody spend less time doing that and more time helping out the business in other ways.